There are two different kinds of soups in Vietnam: sup and canh. 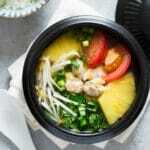 The former shares many similarities with Western soups, however, it is not a part of traditional Vietnamese cuisine. Vietnamese home cooks rarely make sup for daily meals. In contrast, canh is a traditional dish and we eat it every day. Canh usually consists of vegetables cooked in plain water or broth, and it has a watery consistency. You can think of the consistency of Japanese miso soup as an example. Sup is mostly served in restaurants and eaten on special occasions such as weddings. I think the reason we don’t cook sup at home is that we don’t serve meal courses in sequence. All the dishes are usually brought to the table and eaten at the same time. Another reason is we like pouring soup over cooked rice. 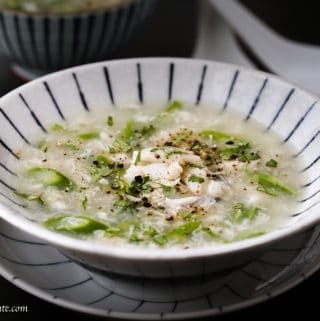 While the watery canh can perfectly be eaten this way, the thicker consistency of sup doesn’t allow it to be poured over and enjoyed with rice. More and more Western restaurants are popping up in Vietnam and offer customers a wide variety of Western soups. However, we also created our own Vietnamese style sup to suit our taste better. Vietnamese cooks are pretty creative in adapting dishes from other cuisines. We make Vietnamese style sup by cooking meat, vegetables or seafood in stock, then thickening it with cornstarch or tapioca starch. As a result, the flavor is usually light and delicate. 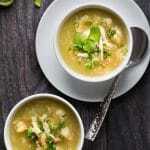 On the contrary, Western soups often have cream or blend the vegetables to get a thick and creamy consistency. 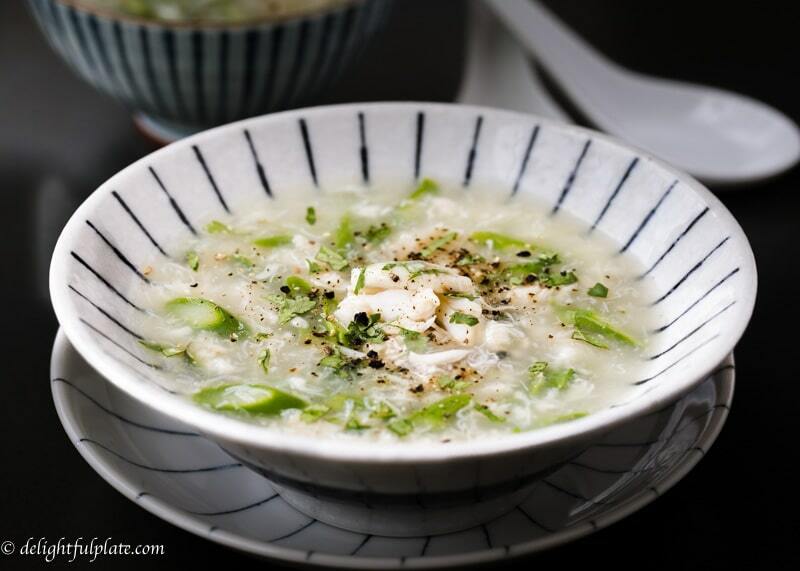 Crab asparagus soup (Sup cua mang tay) is one of the earliest and most popular Vietnamese style sup. 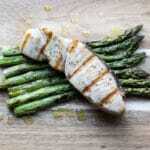 It is light and delicate with natural sweetness from crab meat and asparagus. 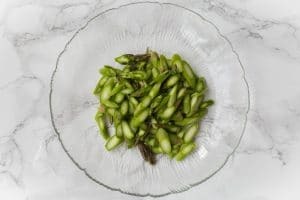 Moreover, it represents Vietnamese cooking methodology which is combining simple ingredients with varying colors and textures into one delicious dish. 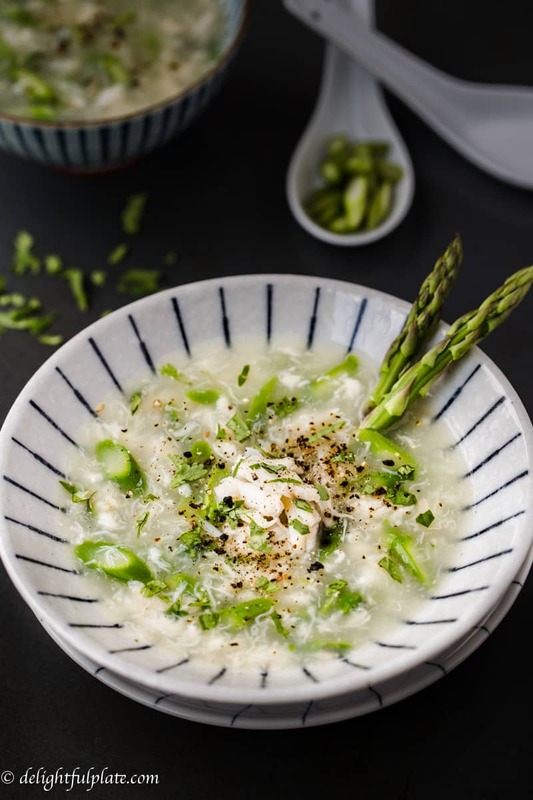 It looks exquisite with clear soup, white crab meat and vibrant green asparagus and herbs. If you already have some stock ready (either pork, chicken or vegetable stock), this soup comes together in just about 10 minutes. Slice asparagus spears on the diagonal. Pour stock into a small saucepan over medium heat, bring it to a simmer and add crab meat. Give it a stir. Add asparagus and let it cook for a few minutes until tender. Dissolve cornstarch into water, mix really well, then pour the mixture slowly into the saucepan while stirring gently to thicken the soup. Add fish sauce and adjust seasoning as desired. Bring the soup to a simmer again and turn off the heat, transfer to serving bowls. Add black pepper, cilantro and enjoy. 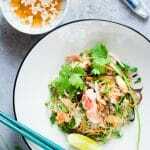 You can enhance the flavors of the soup by sautéing crab meat with shallot and fish sauce before adding it to the stock.